On 23 May the Vaal University of Technology Southern Gauteng Science and Technology Park was honoured with a second visit as a spin-off from the Premier’s office by the Gauteng Gambling Board as arranged by Ms Anne Naidu; VUT’s Communications Practitioner at the Southern Gauteng Science and Technology Park. 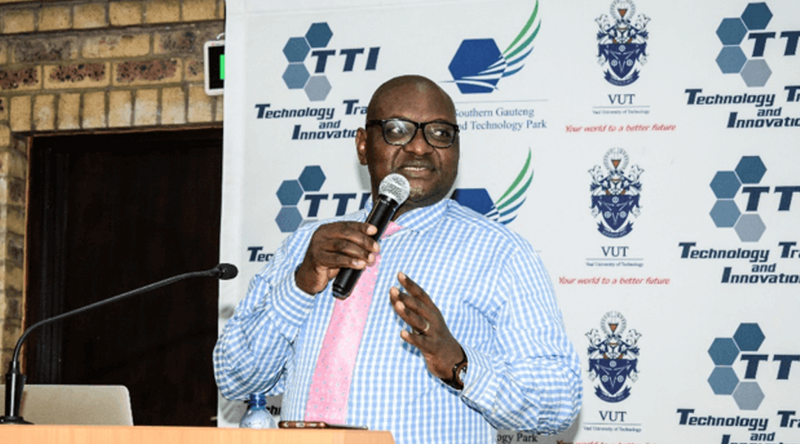 Mr Hugh Makhaya, from the Gauteng Gambling Board, an agency of the Department of Economic Development which is headed by MEC Maile, addressed the VUT-Sasol students who are being trained for entrepreneurship. The organisation’s mandate is to regulate gambling in the province and to protect the public from gambling industries. As the Honourable Premier mentioned in his speech on 18 May, VUT is seen as the key driving force behind new entrepreneurs that are needed in the region. So the importance of the visit was to address the aspiring entrepreneurs on social responsibility issues as well as create awareness of the dangers of gambling while being responsible citizens and future business owners. Mr Makhaya differentiated between legal and illegal gambling and the risks which are involved in the process. “If you look at our township businesses they are not doing as well; to the extent that we are even having business coming in from the outside. This is because many people don’t know how to manage their money,” said Hugh during his address. He stressed the dangers of gambling and how a business’s finances can be ruined by irresponsible playing and betting. As a token of his visit, the students were given water bottles, T-shirts, key holders and power banks to remind them of their duties as responsible citizens.